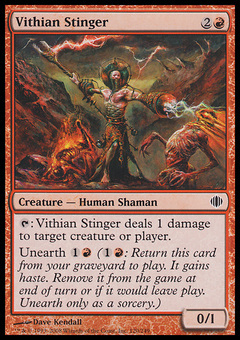 Wild Nacatl ($0.35) Price History from major stores - Shards of Alara - MTGPrice.com Values for Ebay, Amazon and hobby stores! Card Text: Wild Nacatl gets +1/+1 as long as you control a Mountain. 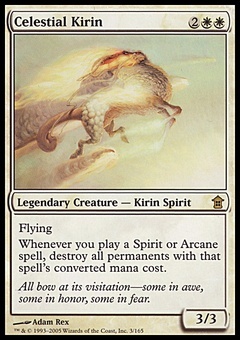 Wild Nacatl gets +1/+1 as long as you control a Plains. 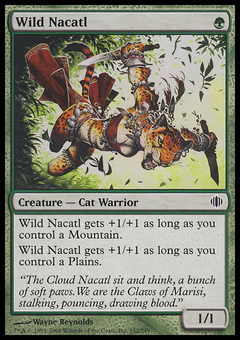 Flavor Text: "The Cloud Nacatl sit and think, a bunch of soft paws. We are the Claws of Marisi, stalking, pouncing, drawing blood."